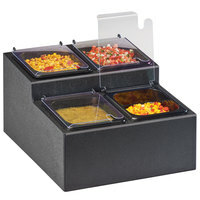 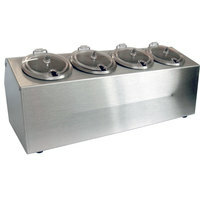 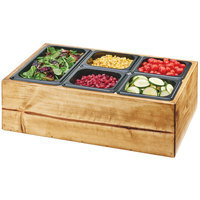 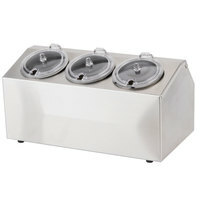 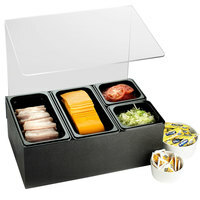 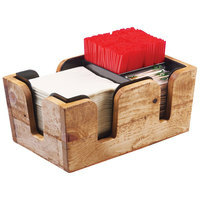 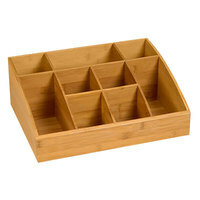 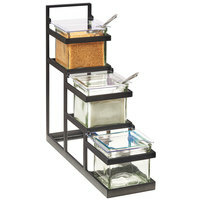 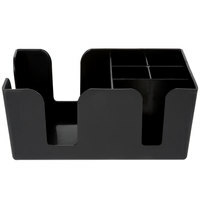 Cal-Mil 3585-99 Madera Reclaimed Wood Salad Station with Clear Ice Liner and 5 Black Pans - 22" x 14" x 7"
plus Cal-Mil 3577 12 Compartment Black Plastic Bulk Condiment Organizer - 16 1/4" x 9 1/4" x 13"
Cal-Mil 3604-13 2-Step Black Condiment Display with 4 Glass Jars - 11" x 10 1/4" x 11 1/2"
plus Cal-Mil 3569-6-60 Bamboo Condiment Holder with Removable Plastic Compartments - 13 1/4" x 7" x 23 1/4"
plus Cal-Mil 3605-13 3-Step Black Condiment Display with 3 Glass Jars - 14 3/4" x 4 1/2" x 13 1/2"
plus Cal-Mil 3569-6-13 Black Plastic Condiment Holder with Removable Compartments - 13 1/4" x 7" x 23 1/4"
plus Cal-Mil 1714-99 Madera 9 Compartment Reclaimed Wood Condiment Organizer - 12" x 12" x 5 1/2"
American Metalcraft BARC7 Antique Copper Satin Finish Bar / Coffee Caddy - 9" x 6" x 4"
Cal-Mil 1102 Classic Condiment Bar with Sneeze Guard - 20 1/2" x 12 3/4" x 19 3/4"
Cal-Mil 3612-4-99 3-Step Madera Reclaimed Wood Display with 3 Glass Jars - 14 1/2" x 5 1/4" x 12 1/2"
plus Cal-Mil 3499-99 Madera Bar Caddy - 10 3/4" x 7" x 4 3/4"
Cal-Mil 1809-39 Iron Two Tier Six Jar Platinum Wire Display - 14" x 9" x 7"
plus Cal-Mil 1853-55 Mixology Stainless Steel Napkin, Straw, and Toothpick Organizer - 7 1/4" x 10" x 5 1/4"
plus Cal-Mil 212 Classic Black Nine Section Bar Organizer - 3 3/4" x 15 1/2" x 5 1/4"
plus Cal-Mil 3801-83 Ashwood 9 Compartment Gray Oak Wood Condiment Organizer - 13" x 13 1/2" x 6 1/4"
Maintaing an organized and sanitary serving station is a requirement in any commercial restaurant, bar, or foodservice establishment. 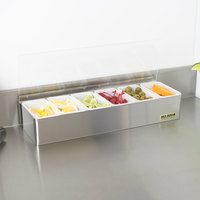 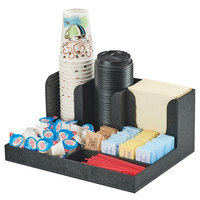 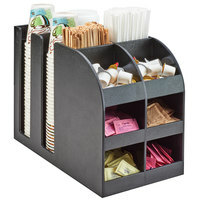 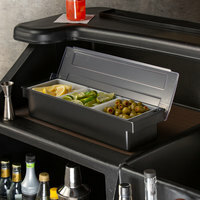 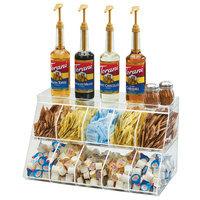 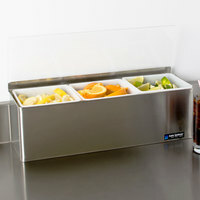 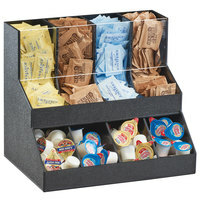 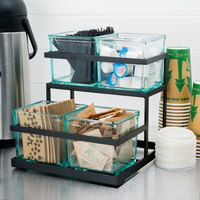 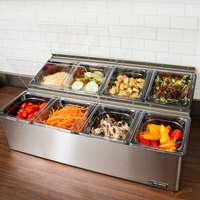 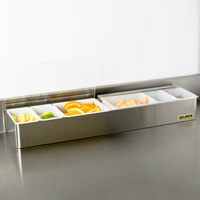 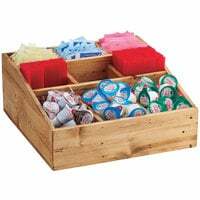 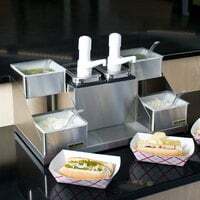 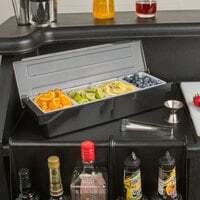 By supplying your servers’ stations with bar caddies, they’ll be able to keep condiments, garnishes, and other necessities organized and free from contamination. 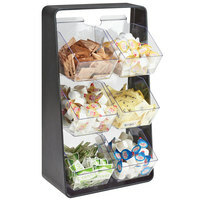 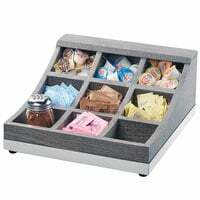 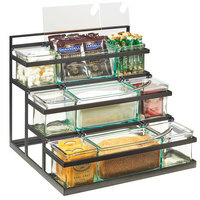 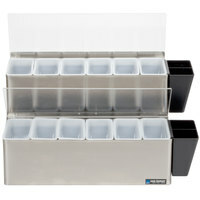 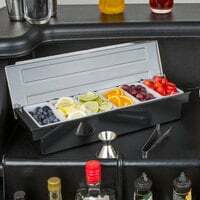 Choose from many different styles and options to find the caddy with the desired number of compartments for your storing needs. 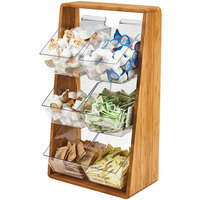 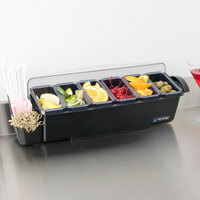 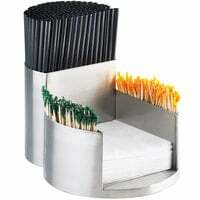 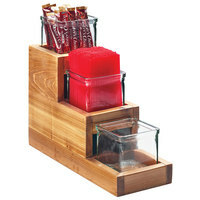 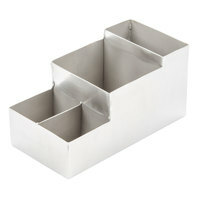 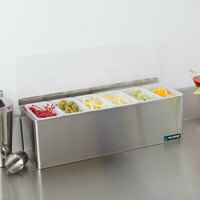 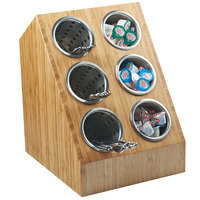 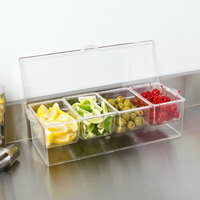 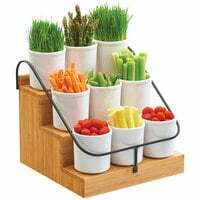 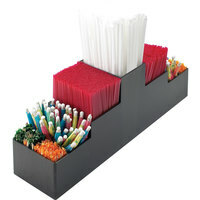 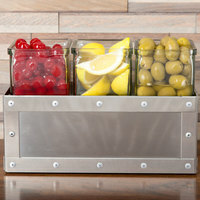 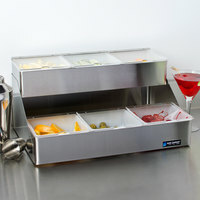 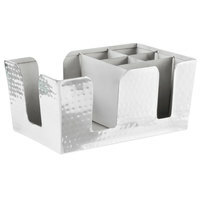 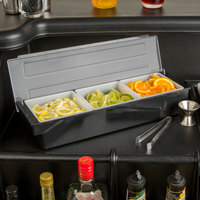 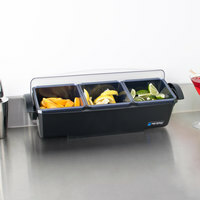 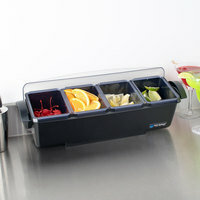 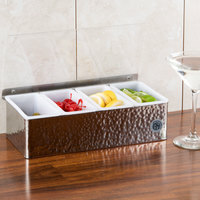 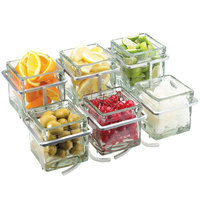 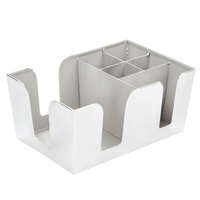 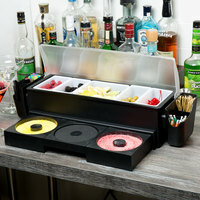 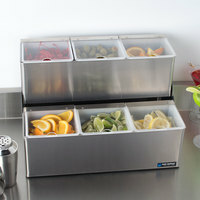 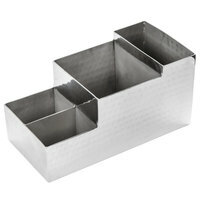 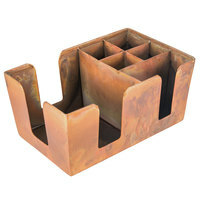 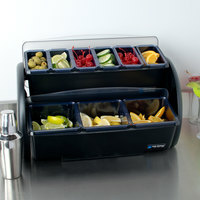 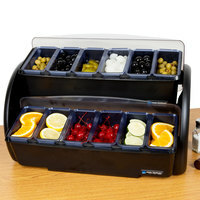 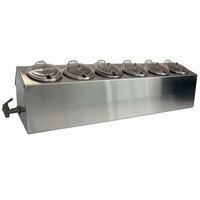 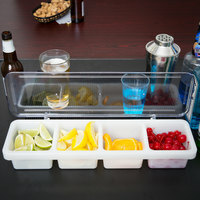 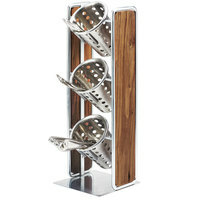 Not only do these bar caddies help keep bar counters orderly, they allow for a faster serving operation, since garnishes like cherries, olives, and fruit slices are easily accessible. 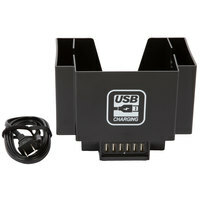 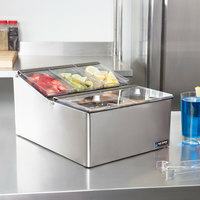 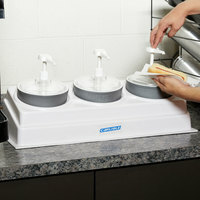 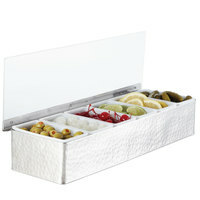 Some models even have a space for ice or ice packs to be held to keep items cool without electricity. 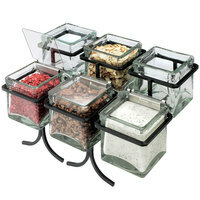 And, since most of these containers come with compatible lids, you can be sure that outside debris won’t contaminate contents.